This western city in the region of Transylvania traces its origins back to the Dacian settlement of Napuca in the 2-nd century A.D. After the Roman take-over of Dacia, it was renamed Napoca and in 124 A.D., received the rank of "municipium". The city quickly advanced socially and economically and during Marcus Aurelius' reign Napoca received the title "colonia", the highest possible urban status in the Roman Empire. The name Cluj comes from Castrum Clus, first used in the 12-th century as the name of the citadel surrounding the city. Clus means "closed" in Latin and refers to the hills that surround the city. German merchants, who arrived here in the 12th century, rebuilt the medieval earthen walls of Clus in stone after the Tartar invasion of 1241. 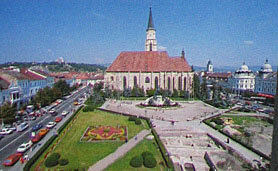 Known as Klausenburg to the Germans* and Kolosvar to the Hungarians, Cluj became Cluj Napoca in the 1970s, when the communist regime added the name of the old Roman settlement to emphasize its Daco-Roman origin. With one of the most vibrant economies in the country and a population of around 330,000, Cluj, is today a vibrant cultural and educational city. The six state and several private universities located here also make Cluj Napoca the city with the largest percentage of student population in Romania. The main square, resplendent with 18th and 19th century buildings and home to many shops and restaurants, is dominated by the 15th century St. Michael's Church, one of the finest examples of gothic architecture in Romania. The square also claims the 18-th century baroque Banffy Palace, housing the weaponry and Romanian art collections of the Art Museum. Visitors who want to learn more about the region should pay a visit to the open-air section of the Ethnographic Museum of Transylvania, a true display of folk architecture. For entertainment, spend an enjoyable evening at the Opera or attend a classical music concert offered by the Cluj Philharmonic. Featuring baroque, gothic, Renaissance and neoclassical buildings, the square allows for quick access to St. Michael's Church and the Banffy Palace. Flanking the church on the south side is a 1902 equestrian statue of the 15-th century ruler, Matei Corvin. In the southwest corner of the square stands Hotel Continental, built in 1895 in an eclectic style combining Renaissance, classical and baroque elements. During World War II, the hotel served as the German military headquarters in Transylvania. Across the square, you can visit the Hintz House, which served as Cluj's first and longest-running pharmacy (1573-1949) and is now home to the Pharmacy Museum (see museum details). This church is one of the most beautiful gothic monuments in Transylvania. St. Michael's Church was erected between 1350 and 1487 on the site of the former St. Jacob's Chapel. The altar, built around 1390, is the oldest part of the church. The most recent section is the tower, erected in neo-gothic style in 1860. The star-shaped vault, the stained-glass windows and the sculptures impress with their beauty and grandeur. Repeated restorations revealed early 15th century murals. The latest restoration took place between 1957 and 1960. The building of this impressive church began in 1486 and was completed around 1516, with a pulpit added in 1646. The church, one of the largest in southeastern Europe, is a perfect illustration of the late gothic architectural style. Created in 1373 by the masters Martin and George of Cluj, the statue of St. George slaying the dragon, which stands in front of the church, was inspired by one of the world's most famous equestrian sculptures, a 14-th century statue displayed in centre of Prague. 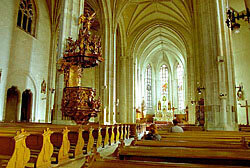 Organ concerts are frequently held in the church. Named for the apostles Peter and Paul, this gothic church was built between 1844 and 1848 on the foundation of an earlier church. The imposing portal at the entrance was built by a priest, Biro Jozsef, after the Black Death struck the town (1738-1742). A statue of Saint Archangel Michael is centered above the main entrance, flanked on the left by John the Baptist, Saint Sebastian and Saint Charles Borromei, and on the right by Saint John the Evangelist, Saint Rocus and Saint John Nepomuc. The portal was moved here in 1899 from its former location at St. Michael's Church and was recently restored. The statue of St. Mary is a beautiful and valuable baroque work of art by sculptor Schenbauer Antal, who created it for the consul, Kornis Antal, in 1744. The statue was removed from its former location at the crossroads of Kogalniceanu and Universitatii Streets and placed in the yard behind the church in 1961. Dating from 1550, Tailors' Bastion is the only such structure still standing from the medieval fortified city. The fortress also served occasionally as a prison, and it was here that Stephan Ludwig Roth, the 1848 hero of the Transylvanian Saxons, was held, accused of high treason and executed at the northern gate on May 11, 1849. One of the city's oldest structures, the Franciscan Monastery was built in the 15-th century on the site of an older church dating from 1273 and handed to the Dominican order by ruler Iancu de Hunedoara in 1455. Located at the south of the monastery complex, the church was offered as a gift to the Franciscans who restored it in baroque style around the year 1728. 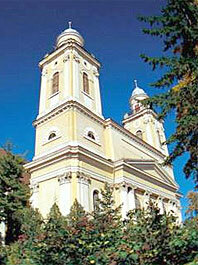 In 1764, the church was bought by Franciscan monks living on the outskirts of Cluj. Its tower practically crumbled 15 years later, thus destroying the whole frontispiece. Restoration work began in 1783 and the church was rebuilt in baroque style. In 1924, it was donated to the Romanian Greek-Catholic Church. A powerful Benedictine abbey stood once at the western gates of the city, in the oldest quarter of the town. The abbey was known under the name Monasterium Beaae Mariae de Clus and it enjoyed outstanding rights and privileges. Benedictine monks settled in towards the end of the 11-th century. During the Tartar invasion of 1241, the abbey was pillaged and burned down. The building was restored in 1263 and the current monastery of Calvaria was built between 1470 and 1508 in gothic style. Over the years, the monastery enjoyed periods of prosperity, but also underwent times of decay. In 1787, after the war against the Turks, Bishop Alexandru Rudnai decided to have both the church and the surrounding fortifications pulled down; only the altar was spared and it was later turned into a chapel. Nothing was left of the artistic assets of the church, except for a statue of the Virgin Mary holding the infant Jesus; the statue currently stands on a pedestal, under a gothic baldachin, above the entrance door. The chapel, dating to 1831, and the belfry, designed in 1922 by the renowned Hungarian architect Karoly Koos are noteworthy. The original grand Moorish-style synagogue, better known as the Memorial Temple of the Deportees (in memory of those who died in World War II), was designed by architect Hegner Izidor and opened on September 4th, 1887. Ruined 40 years later by the Iron Guard, a nationalistic Fascist organization of the time, it was restored in 1951 with the support of Romania's Jewish community. Open: Wed. - Sun. 12:00pm - 7:00pm; Closed Mon. & Tues.
Open: Mon. - Fri. 9:00am - 5:00pm; Closed Sat. & Sun. The Emil Racovita Speleology Museum is the only one of its kind in Europe. The museum displays the fascinating collection of renowned Romanian biologist, Emila Racovita (1868-1947), who set up the Romanian Speleology Institute in 1920. Here, you can admire some of the discoveries made by Racovita in the spectacular caves of Romania, including different types of rocks which preserve the traces of animals that died thousands of years ago. Open: Tue. - Fri. 9:00am - 4:00pm; Sat. - Sun. 9:00am - 1:00pm; Closed Mon. Endowed with a collection of more than 65,000 ethnographic items, the museum offers an excellent introduction to Transylvanian folk art and traditions. Founded in 1922, it is one of the most important ethnographic museums in Romania. Its various sections, devoted to trades, lodging, food, pottery, textiles, national costumes and customs, include more than 50,000 photographs as well as open-air and international sections. Together, they paint an image of Transylvania's folk culture. Open: Tue. - Sun. 10:00am - 4:00pm; Closed Mon. Founded in 1859, this museum illustrates the history of Transylvania from Paleolithic times to the present. The size of the collection has grown from about 24,000 items in the 1870s to more than 400,000 today, including many rare or extremely valuable objects. Strange skulls, mammoth tusks, arrow- and spearheads illustrate the progress from the Neolithic and Bronze Ages to the rise of the Dacian civilization, which reached its peak between the second century B.C. and the first century A.D. The sections for medieval, modern and contemporary history and the Numismatic Cabinet contain collections of decorative art, ancient books, old printings, memoirs, history and coins. Open: Mon. - Sat. 10:00am - 4:00pm; Closed Sun. 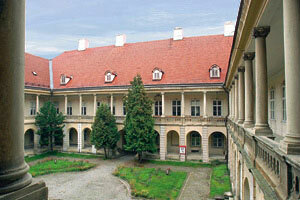 This museum, exhibiting some 2,300 medical instruments, is located on the site of Cluj-Napoca's first pharmacy (1573). Salt was first mined at the Turda salt mines in 1271. For most of the 20th century, the former mines were used as deposits for cheese. Today, they are open to visitors. One mile east of Turda, you can relax at Baile Turda, a natural outdoor spa built on the site of an old Roman salt mine. 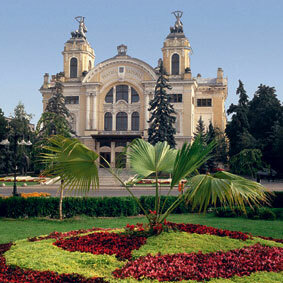 Cluj-Napoca Botanical Garden, one of the largest in southeastern Europe, is hometo some 10,000 plant species. Within the grounds, you can visit a museum; several greenhouses with desert and tropical plants, including huge Amazonian water lilies; a Japanese garden with a brook and a Japanese-style house, and the Roman Garden with archeological relics from the Roman colony of Napoca. Hire a boat to row on the small lake or just enjoy a stroll in this 180-year old park. Founded in 1929, the park exhibits some 90 Romanian, Saxon and Szekler traditional houses, sawmills, wells, potter's workshops, sheepfolds and outbuildings for grinding gold-bearing ores, sheep rearing, blacksmithing and tanning hides. The park also contains several 18th century wooden churches from the Transylvania region. Cluj makes a great base for exploring the stunning Apuseni mountain range, located southwest of the city. The Apuseni Nature Park protects one of the most interesting cave systems in the country. Limestone underlies most of the park and is responsible for the area's impressive landforms and more then 400 caves, many of which can be explored. Sculptured mountain ridges, mysterious underground rivers and delicate cave formations will keep your camera busy. The Apuseni Motzi villages are ideal places to find the tranquility and timeless wisdom of traditional village life, vibrantly alive and intact here as perhaps, nowhere else in Europe. 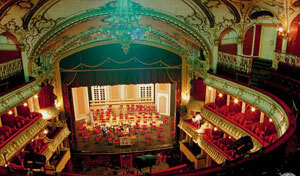 Aida by Giuseppe Verdi was performed at the opening night of the Cluj National Opera in 1919. Since then, the opera company's repertoire has added impressive stage productions such as La Boheme, Tosca, Giselle, Carmen, Faust and the Bald Soprano. The Philharmonic Hall, home of the Transilvania State Philharmonic (founded in 1955), hosts numerous orchestral and chamber music concerts. The Cluj Transilvania State Philharmonic consists of five high standard ensembles, the Symphony Orchestra, the Choir, the Chamber Orchestra, the Transilvan Quartet and the Folk Music Orchestra. Visit Transylvania's largest city – Cluj Napoca – vith a local guide. April – October at 11 a.m. and 6 p.m.
November – March at 10 a.m.
at Piata Unirii, in front of Matthias Corvinus statue. The airport is located 2.5 miles from the city centre. Taxis are the easiest way to get around. Bus number # 8 runs from the airport to Piata Mihai Viteazul in the centre of the city. Direct flights from/to: France (Paris); Germany (Dortmund); Italy (Bologna/Forli, Milan, Rome/Fiumicino, Venice); Spain (Barcelona, Madrid, Parma de Mallorca, Valencia); UK (London/Luton). There are daily trains from/to Budapest (journey time - 8 hours). Trains to other western European cities run via Budapest. There are daily trains connecting Cluj-Napoca to Bistrita, Bucharest, Gura Humorului, Iasi, Oradea, Satu Mare, Sighetu Marmatiei, Suceava, Timisoara and several other cities in Romania. There are daily INTERCITY (Express) trains connecting Cluj Napoca with Bucharest (journey time: 8 hours), Brasov (journey time: 5 hours), Medias (journey time: 2 ¾ hours), Sighisoara (journey time: 3 ½ hours), Oradea (journey time: 2 ¼ hours) and Timisoara (journey time: 5 hours). Note: For departures from/to Timisoara please select Timisoara Nord. For departures from/to Bucharest please select Bucuresti Nord. Open: Mon. - Fri. 8:00am - 8:00pm; Closed Sat. & Sun. Several bus (autobuz), tram (tramvai) and trolleybus (troilebuz) routes connect Cluj Napoca's main areas and tourist attractions. The public transportation system runs between 5:00am and 11:15pm. Tickets must be purchased beforehand and validated in the ticket-stamping machine upon boarding. Tickets are interchangeable for all three forms of transport with the exception of express buses. please click here or check our Accommodations guide. The Tourist Information Centre provides maps, brochures and information on accommodations, restaurants and transportation. Open: Mon. - Fri. 7:00am - 8:30pm; Sat. 8:00am - 1:00pm; Closed Sun.